See Also: Live action only move. In Brief: While the general fan base refers to Princess Sailor Moon's sword as a harp it is in face a "lyre". (Read the Cultural notes for more) Throughout this site though and on this very page I've referred to it as a harp just to keep consistency and reduce confusion among fans. Cultural: "One point on which organologists universally agree is that the distinction between harps on the one hand and zithers and lyres (and, in some views, lutes) on the other is that harps have strings emanating directly from the soundboard and residing in a plane that is basically perpendicular to the soundboard, as opposed to the other instruments, whose strings are attached to one or more points somewhere off the soundboard (e.g., wrest pins on a zither, tailpiece on a lyre or lute) and lie in a plane essentially parallel to it. They also agree that neither the overall size of the instrument nor the number of strings on it have anything to do with its classification. For example, small Irish harps can be held on the lap, while some ancient Sumerian lyres appear to have been as tall as a seated man (see Kinsky; also Sachs, History ..., under "References"). Regarding the number of strings, the standard 88-key piano has many more strings than even the largest harp." 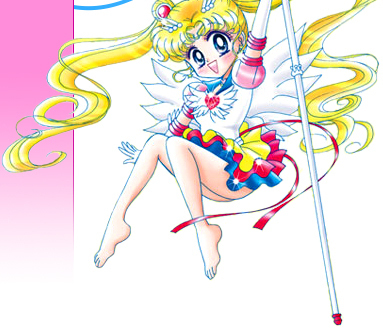 The Move: Princess Sailor Moon simply transforms her sword into wand mode and begins to play it. While there appear to be no strings attached when she's playing, a closer look during it's transformation reveal pink magical strings that appear invisible once the transformation is complete. The harp has the ability to restore energy/ life to people, plants and even heal objects such as torn fabric. "How many Sailor Moon S openings are there?" 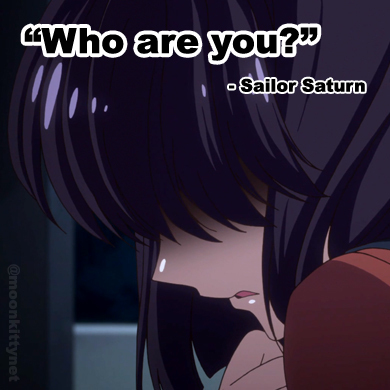 "Are there any Sailor Moon ripoffs?" "Where can I buy Sailor Moon DVD boxsets?"